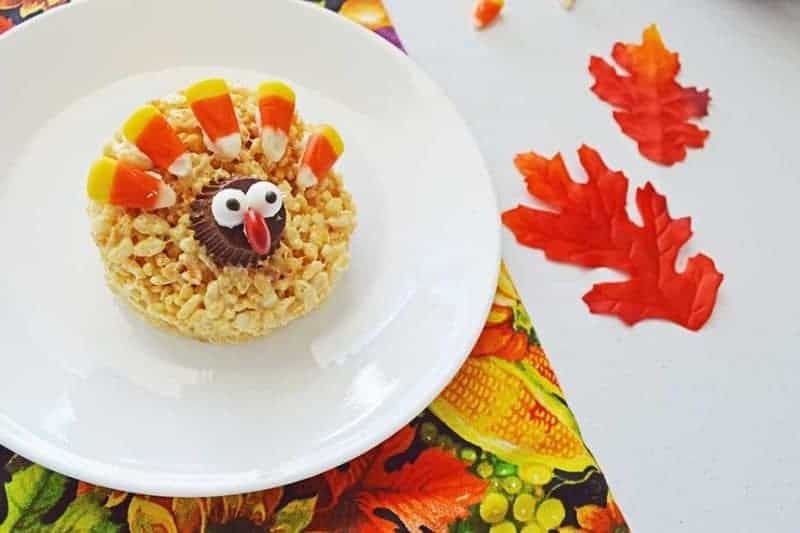 These easy-to-make, no bake, Rice Krispie Turkey Treats are sure to be the hit of the dessert table this Thanksgiving – especially with the kids! We all know how easy it is to make rice krispie treats. Chances are you make them for your family often, but how often do you decorate them? 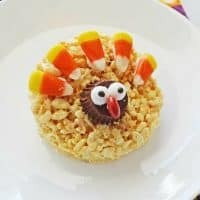 These Rice Krispie Turkey Treats are so easy and fun to make. Your kids are going to have a blast with these. 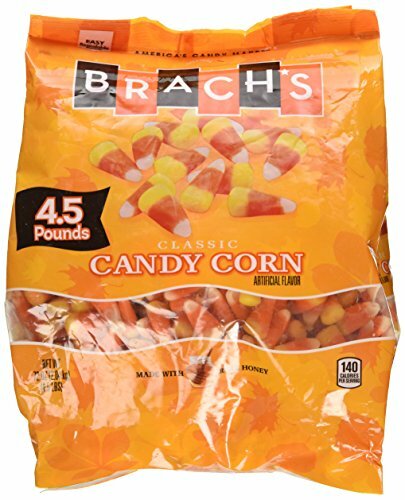 They are the perfect treat during the fall months and a fun and easy addition to any Thanksgiving spread. If you know how to make rice krispie treats, you’re already halfway there to making these sweet treats. 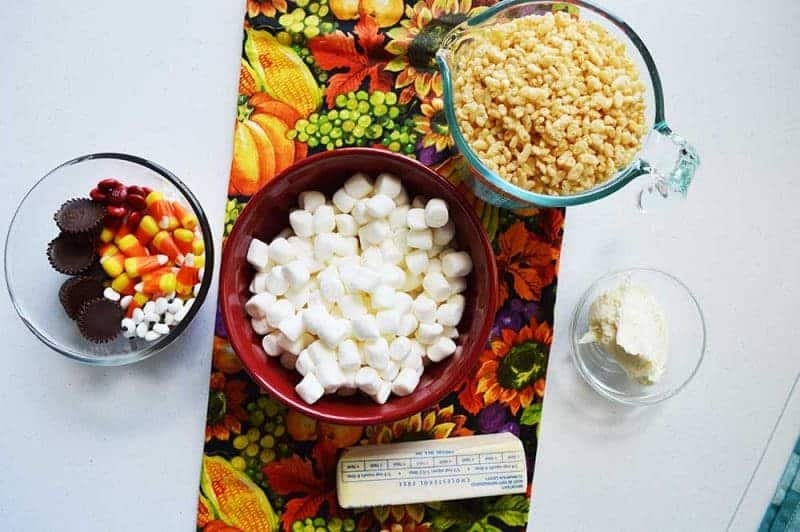 All you need to do is cut the treats into circles and then decorate using peanut butter cups, candy eyes, M&M’s, and candy corn. The kids can help decorate these treats. Even small kids can help decorate – it is so easy. 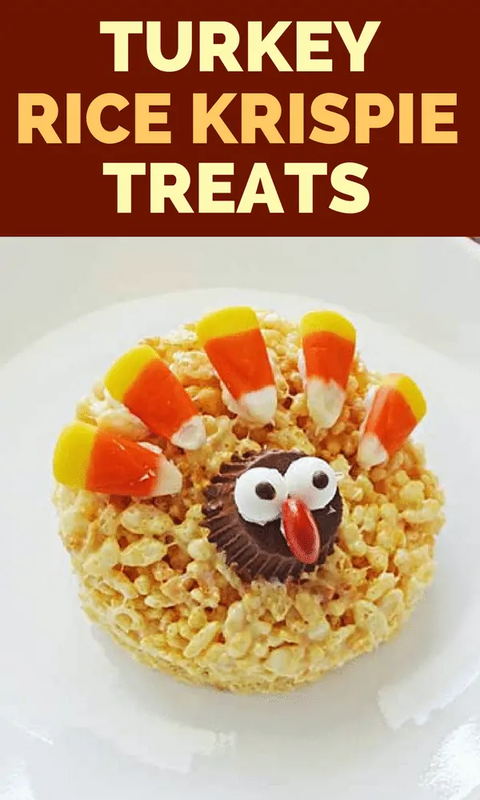 A great idea is to pop these Rice Krispie Turkey Treats into small cellophane bags, tie with a cute ribbon, and give away to neighbors, coworkers, teachers, kid's classmates, etc. It’s just a nice and cute way to say Happy Thanksgiving. 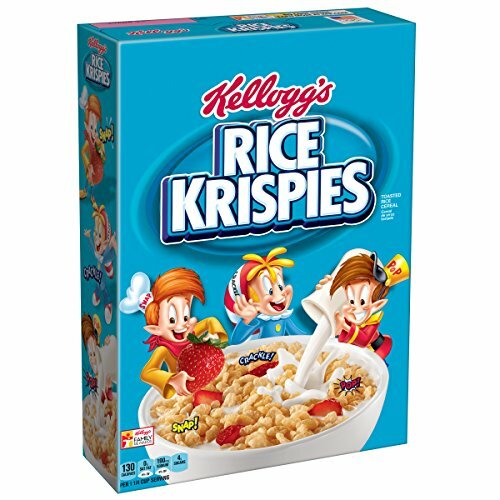 Or, if you want to change things up a bit, consider using chocolate Rice Krispies or any other cereal that your kids love. To be honest, you are only limited by your imagination. 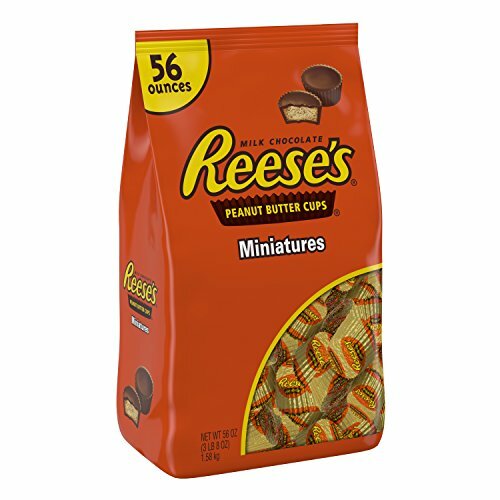 Furthermore, if you wanted to make these truly decadent, you could even dip the treats into melted chocolate before decorating. 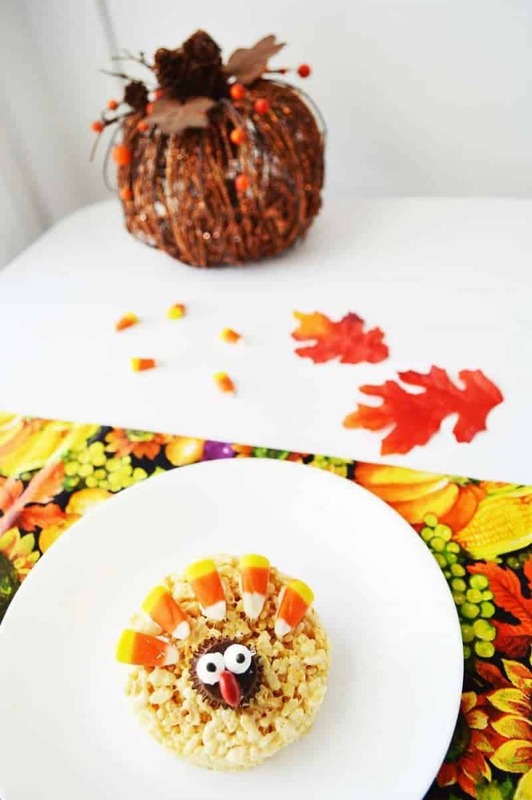 These Turkey Rice Krispie Treats will be a huge hit on Thanksgiving, especially with kids. Not only will the kids have fun decorating these treats, but they will love eating them most of all. Enjoy and have a happy thanksgiving! 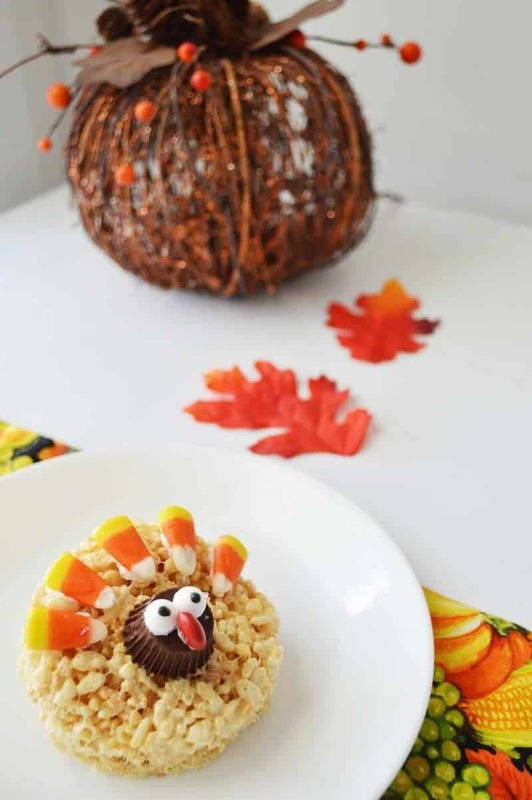 These easy-to-make, no bake, Rice Krispie Turkey Treats are sure to be the hit of the dessert table this Thanksgiving - especially with the kids! 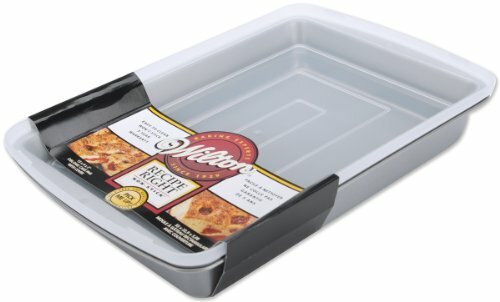 Prep a 9 x 13 pan with cooking spray. In a large pot, melt butter on medium heat. Stir in marshmallows, stirring frequently until melted. Stir in cereal, stirring until well combined. Pour mixture into pan. Using parchment paper, press mixture down evenly into pan. Allow to cool for 1 hour. 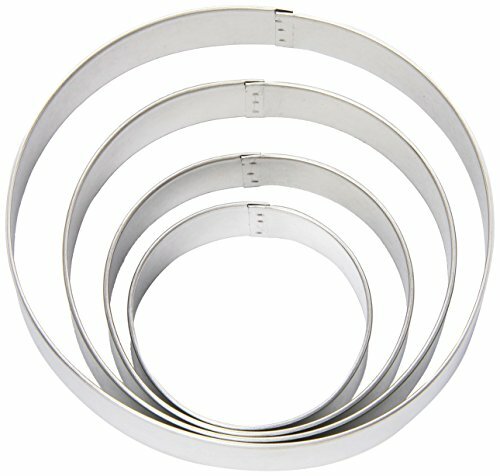 Using a cookie cutter (or other circular item such as a cup), cut circles out of cooled treats. Re-shape and continue cutting out circles until you've used up all of the mixture. Use icing to attach a peanut butter cup in the center of the krispie treat to act as turkey's head. Then, use the icing to attach candy eyes, a red M&M sideways as beak / waddle, and pieces candy corn to act as feathers. These are so cute! I can see making these at the kid’s table as half craft, half treat.